Now working as a volunteer after 62 years of teaching, Sr. Alvera still shares lessons in faith with the younger students at Bishop’s Academy at Holy Family. Ask almost any of the hundreds of students who have passed through the halls of the Bishop’s Academy at Holy Family in Fairmount (formerly Holy Family School) over the past 19 years what they remember and most will certainly recall some pivotal experience that involved Sr. M. Alvera O’Grady, OSF. Some give her credit for their ability to print perfectly formed letters of the alphabet. Others remember fondly their stage debut in “Ten Little Indians,” a Thanksgiving classic; or can still recite their poetic job description from Sister’s annual vocation play. Most bring to mind her influence on them as they prepared to receive their First Communion, and a few even recall “Sr. Al-bear-a,” a stuffed Build-A-Bear one first grade class presented to her complete with signature wire-rimmed glasses, black habit and crucifix. Given all the memories, the community of Holy Family had mixed emotions when Sr. Alvera announced her retirement in June of 2009 after 62 years of teaching. 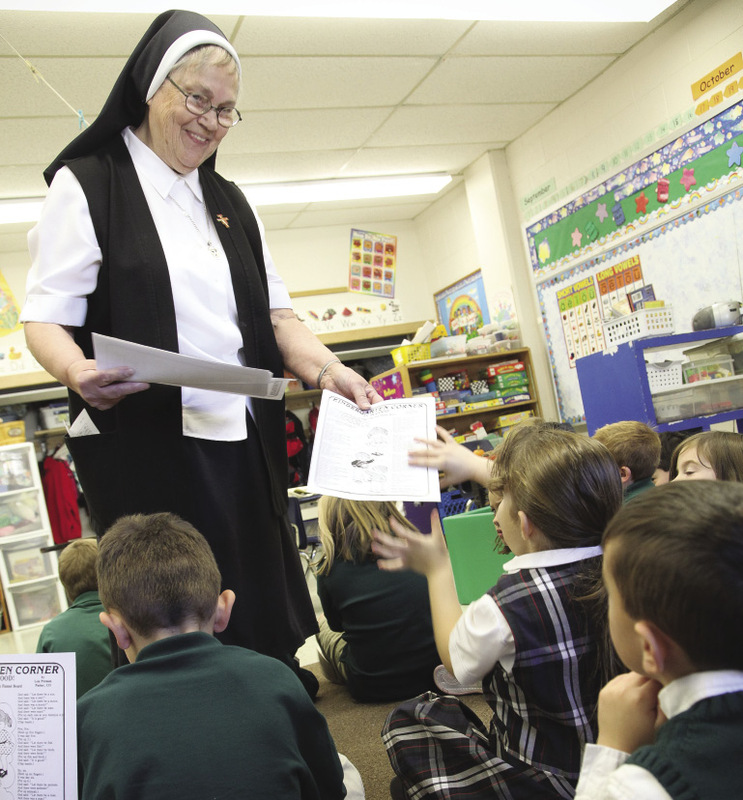 However, while she no longer teaches first grade (in what has since been dedicated as “The Sr. Alvera Room”), she still returns faithfully every Monday to give a religion lesson to the younger grades and share the same qualities that have made her such an outstanding gift to the Syracuse Diocese for so many years. For now, that good fortune continues, at least on Mondays when Sr. Alvera heads into school to give students in kindergarten, first and second grades a brief religion lesson and then volunteers in the library until the end of the day. And, while she is officially “retired,” Sr. Alvera hardly schedules herself any down time during the rest of her week, as she also volunteers at St. Camillus Health and Rehabilitation Center and St. Joseph’s Hospital Health Center. Still, Sr. Alvera enjoys her greater sense of flexibility and is comfortable with her decision to retire. “The Lord told me it was time, but I am pleased that He still allows me the ability to spend a few hours with these wonderful children,” she said. 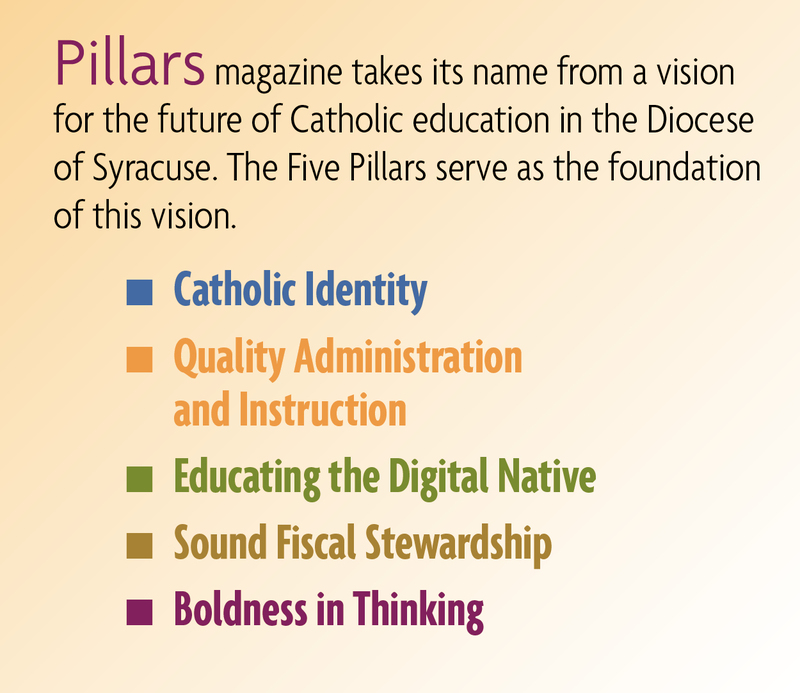 The students at Bishop’s Academy at Holy Family wholeheartedly agree.